The New Year sparks a feeling of motivation, inspiration and new beginnings. 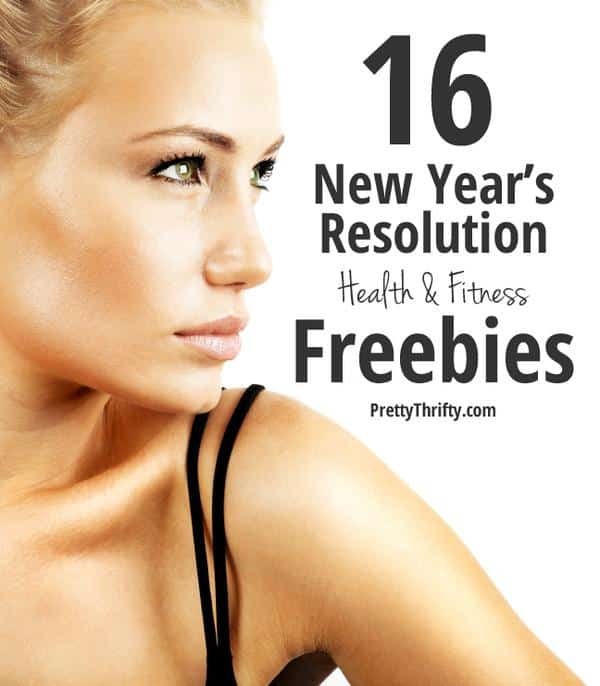 To help you take advantage of this year’s fresh start, we’ve pulled together this list of freebies that will help you in your quest to improve your health, fitness and overall well being for 2015. Have at ’em! If your 2015 goals include getting in better shape, these fitness freebies should be your first stop. Finding the right place to workout is key, so we recommend trying out any and all that are in your area. By the time you’ve made the rounds, you’ll have a good idea of which place you like best. XSport Fitness – Free seven day pass for you and a friend, plus one free personal training session and seven days of free tanning. A $125 Value. These guys are offering much more than most of the other free trial memberships. Meeting with a personal trainer even just once can give you some great ideas of how to take your routine up a notch. Sign me up! Anytime Fitness – Free seven day pass. If you have an Anytime fitness near you, you’re in luck. These gyms have a smaller, less intimidating vibe than some of the huge gyms around town. Perfect for those who like to workout with fewer distractions and more privacy. 24 Hour Fitness – Free guest pass – includes group fitness classes and other gym facilities. Gold’s Gym – Free seven day VIP pass. The great thing about Gold’s gyms is that they are everywhere. If one of the other gyms aren’t nearby, chances are, you can find a Gold’s Gym instead. They offer classes like Pilates, Step Areobics, MMA, Yoga, Tai chi, Zumba and others. OneLife Fitness – Free seven day pass. This gym offers just about every class under the sun: Zumba, Yoga, Aerobics, Strength Training, kickboxing, cycling, aquatics and Les Mills classes like BodyPump and BodyFlow. World Gym – Free pass. This sign up page is great because they’ll have you first enter your zip code. They’ll show you a list of your closest gyms right off the bat. They offer a variety of classes and even have a special ‘Barbell Cafe’ where you can order pre and post workout smoothies and shakes. Bally Total Fitness – Free seven day pass. Here are some of our favs when it comes to health and nutrition. Be sure to check out our full page of nutrition freebies for a list of even more of the latest samples. We keep it updated regularly with all the best freebies available. Zarbees Elderberry Immune Health Gummy Multivitamins – Sign up here or read more. Nordic Naturals Wellness Sample Pack – Get it here or read more. You can select from three options: their Wellness Sample Pack, Children’s Sample Pack, or a Pet Sample Pack. Emergen-C Vitamin Drink – Get one here or read more. Ola Loa Multi Vitamins – Get it here or read more. Getting a magazine every month or two can only help you stick to your goals – it’s a subtle reminder and motivator. Whether you’re wanting to learn more about fitness in general or start a new sport or hobby, these magazines may be just what you’re looking for. Men’s Health Magazine – Free subscription. Sign up here or learn more. Tennis Magazine – Free one year subscription (six issues). Request it here or learn more. These are just a couple of our favorite currently available magazine freebies. Don’t forget to stop by our main free magazine subscription page for even more free subscriptions. We add new ones to it regularly as they become available. I love keeping healthy protein bars and granola bars on hand because they are a perfect way to get a healthy, in-between-meals snack. However, I don’t know about you, but the biggest thing standing between me and a new box of protein/health bars is not knowing if they’re delicious or disgusting. If they’re the latter, an utter sense of wasted money sinks in. Ugh. I hate that. These kinds of sample offers are my fav because I can try them out before I buy. Quest Protein Bar – Free bar. Request it here or learn more. Meta Health Bar – Free bar. Get it here or learn more. Here’s to 2015! 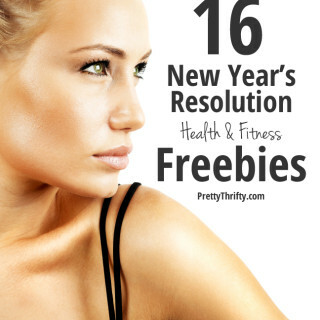 We hope you find a few freebies that will help you set sail on a happier, healthier life this year! If you’re hungry for more, you can see our complete list of health and fitness freebies here and an archive of all published deals, discounts and samples here. Great tips, I really need to start taking better care of myself. I love all of these freebies! I just joined a new gym and was shocked they didn’t have a free visiting pass. My boyfriend and I wanted to try it before buying an annual pass, but after touring the facility we decided that it was a perfect fit and have loved it! These are really some awesome tips! Thanks! I need to go to the gym! Hey thanks for all the freebie links. I’m on a quest for health this year as I have been chronically ill for the last 3. May not be ready yet to go to the gym yet but the other stuff I will be looking into. I wish i can follow some of them. So proud of myself for keeping my healthy New Year’s resolution of eating better and going to the gym consistently (4-5 days a week). isn’t the gym everyones new years resolution? its getting pretty old…and no one eber sticks to it!! Feel so much better when I workout..